Elegant jewellery for comfort and style. 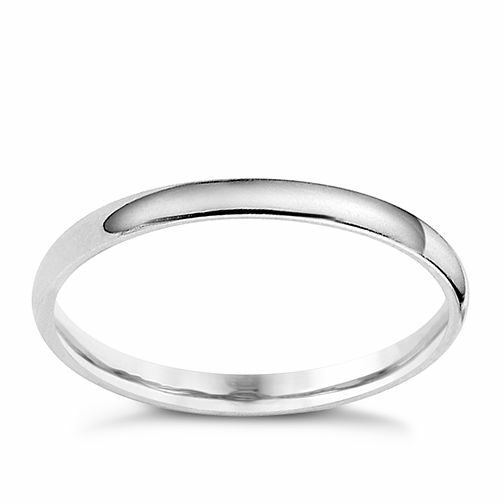 Platinum 2mm extra heavyweight D Shape ring is rated 3.0 out of 5 by 1. Rated 3 out of 5 by Anonymous from Slightly thinner than expected While we got a good deal, this was slightly thinner than expected, especially compared to my fiancee's platinum engagement ring.